We offer you the Yoga Alliance certified Yoga Teacher's Training Courses for Hatha, Kundalini, Yoga Therapy and Multi Styles which also includes insights from other great styles like Iyengar, and Sivananda for more deeper and advanced learning experience. The modern day hectic and never ceasing urban life patterns can really drain a lot out of you. We keep chasing the health, peace, prosperity and receive few undesirable by-products like stress, anxiety, dissatisfaction and imbalance (Physical & mental) along with the common gains. If you really want to take a break, get away from everyday routine, connect to yourself and recharge your energy channels, and if you are really serious about experiencing Yoga, then what better place to do so than India - Land of cultural diversity, exotic places & Yoga? Why not to experience it at Goa, known for its serene and beautiful beaches lined with white sands and fabulous tourist spots of holiday? You can visit our drop - in yoga classes and workshops in Manderam, North Goa. We are based at Mandram beach , just 7 kms from Anjuna and Vagator beaches and 2 to 4 kms from Ashwem and Morjim beaches. Located in the fascinating heritage eco friendly green surrounding, Yoga Practice in the peaceful surroundings and ambiance is simply enchanting!! 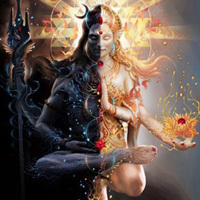 Tantra - A Path to experience Spiritual and Personal transformation. Introduce yourself to the beautiful ancient practices which move you deeper & deeper into oneness in love !!! Re-awakening and reconnecting with the wonder of your unique nature & beauty. A space to gently grow in confidence towards living life more simply from the heart. 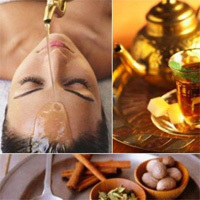 Ayurveda Retreat in Goa is the perfect opportunity for you to get a taste of Ayurveda. Located in the fascinating lush green North Goan beach Manderam, well placed close to famous Anjuna and Arambol, ashswem beaches in North, we are in the lap of the nature providing you the most eco-friendly peaceful Ayurveda retreats in the perfect set up and mood. Meditation is universal. It is a gift given to mankind to access the infinite sprit not limited by any identity. Are you losing the balance between your mind and body? Are you suffering from minor or major physical, mental and emotional sickness? Have you lost your peace and poise in past few years or been struggling to attain for long? Do you feel consciously or unconsciously that you are not contended with your life in spite of achieving all or few of your important goals and there's still a vacuum inside you? Pratik Agrawal is a professional Astrologer, Numerologist and Vastu consultant. He is well qualified with degrees in Management, Business and Trade. After being an educationist and independent successful entrepreneur for more than 9 years, he could not stay away from his deeply seated heartfelt passion, inclination for Vedic Studies and Astrology. He has been studying and practicing these divine Vedic Sciences for many years now. He provides Jyotish consultation for life problems and issues with remedial solutions and measures.